This chapter is included in the Fixing virtualization performance issues E-Book. 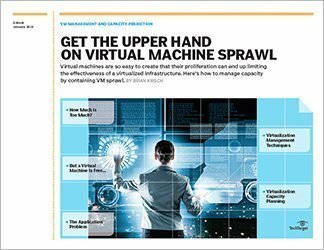 This chapter offers guidance on how to keep virtual machines running efficiently. Critical to this process of virtualization capacity planning is appropriately provisioning resources. 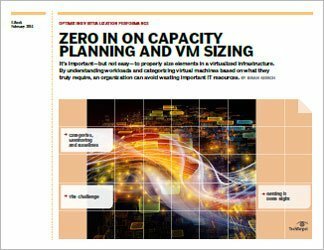 Best practices for capacity planning are detailed here so that an IT team will know for sure that it is giving its virtualization infrastructure enough resources to be effective without sizing machines in ways that will be wasteful. Since improving the utilization of hardware is the essential purpose of server virtualization, it would be ironic (and perhaps embarrassing) for an IT organization to discover that it is wasting resources by failing to size VMs correctly.